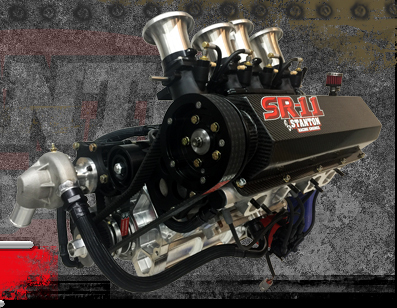 About Us : Stanton Racing Engines - Sprint Car Engines, Midget Car Engines, Silver Crown Engines, Mopar Crate Engines and more. Stanton Racing Engines had it's beginning when Gary Stanton started racing in the early 1960's, at the famed Bee Line Drag Strip in Arizona. He founded Stanton Racing soon after and became the country's leading chassis builder. Throughout the years he has fielded championship race teams for many of the sport's greatest drivers. He has built Stanton Racing Engines into one of the world's premier engine shops, operating out of a 24,000 sq. ft., state of the art facility. Stanton Racing Engines has a long list of winning performances and championships, including USAC Sprints, Midgets, Silver crown, WoO Sprints, WoO Late Models, All Star Sprints, ASCS 360 Sprints, TORC Off Road Racing, NHRA Pro Stock, and ASA Late Models. Stanton credits a lot of their success to the partnerships they have formed over the years with both MOPAR and Toyota Racing Development. Stanton Racing Engines developed the MOPAR Sprint, Midget, and Silver Crown engines that are being used today. Along with the MOPAR engines designs, Stanton’s also re-designed the TRD midget engine and made it one of the most competitive engines on the circuit. Stanton Racing Engines prides itself with the ability to complete 95% of the machining procedures in house, which allows Stanton and the guys to keep the tight tolerances to their specific specifications. Each engine that comes from Stanton Racing Engines under goes a strict dyno procedure on one of three in-house dynamometers. Along with building award-winning racing engines, Stanton Racing Engines also offers a complete line of MOPAR crate engines. They are hand built and subject to a break-in procedure on one of the dynos. Each engine is held to Stanton’s high quality of standards. The Stanton built crate engines are also available through all the top speed catalogs.